AFL Victoria has advised Worrells, Administrators for the Frankston Football Club, that the club will not be provided with a VFL license for 2017. This process has been formalised with a legal letter sent to the Administrators. The decision was made following deadlines provided by the Administrators and the report they tabled revealing substantial club debts which were far in excess of our previous understanding. The Administrators were unable to provide AFL Victoria with sufficient confidence for the viability of the club in 2017, therefore not meeting criteria for the continuation of a VFL licence. 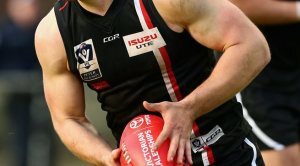 AFL Victoria CEO Steven Reaper said while the club has provided a pathway for a number of footballers to reach the elite level, and despite AFL Victoria providing significant funding support to Frankston over a number of years, the financial troubles of the club were too hard to ignore. “Frankston has had a rich history of providing a pathway and opportunities for footballers in the region, but without the necessary off field structures in place, AFL Victoria was not confident financial projections provided could be met,” Reaper said. “We have a strong willingness to ensure that there is a VFL presence in the region into the future, but it must be viable and sustainable both on and off the field long term. “We have had preliminary meetings with key regional stakeholders on what this can look like and are also engaging the City of Frankston and the AFL South East Commission about what the future can hold for both the facility and football in the region. “The region has been and will continue to be very important to us from a pathway and development perspective and we are hopeful that a solution that is both sustainable and viable can be considered going forward for a VFL presence potentially from 2018. "This decision provides the region with more time to better plan a more sustainable VFL presence moving forward."